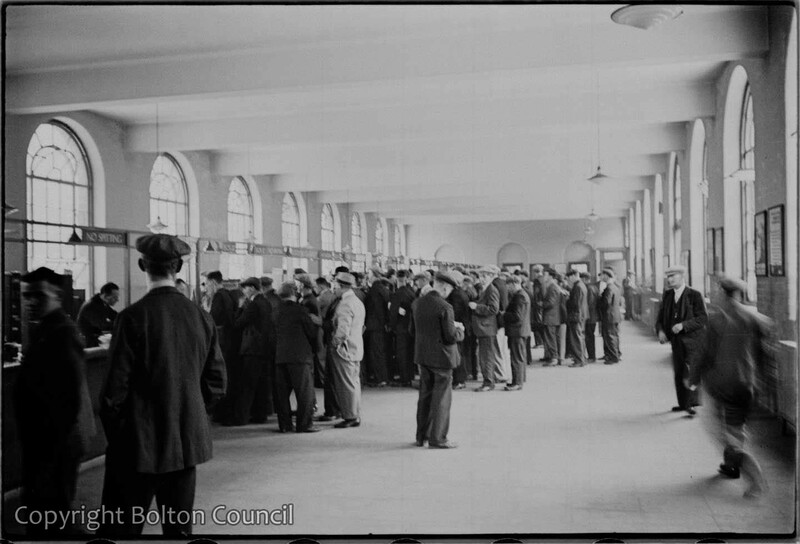 Queues of unemployed men in the Labour Exchange. This building on Ormrod Street is still in use by the department of Work and Pensions (2012). Mass Observation was interested in labour conditions and wages. Unemployment in the Lancashire cotton industry rose from 39,153 to 88,164 between 1937-38.